Meeting starts at 7:30PM unless otherwise noted. You are welcome to arrive early at 6-6:30PM for dinner (at your own cost), and to socialize. 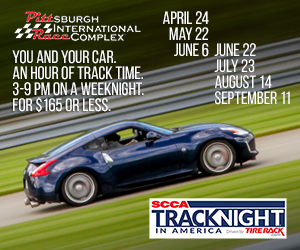 If you need to cancel, email prince@scca.com. Cancellations before the Monday of the event will get a full refund. Cancellations the Monday of the event week or after will get a 75% refund. on the SCCA website. http://www.scca.com. During a competition we may be checking the cars on course for leaks, loose parts or potentially dangerous conditions. After the race we congratulate the winners, commiserate with the non-winners, and look at cars for technical compliance. Then we socialize. • Observing everything within their area of responsibility – cars, drivers, spectators, safety equipment, barriers, etc – for any unusual or improper condition that may affect the safe conduct of the event. • Signaling the drivers with flags, lights, hand signals or other means of any change in the condition of the course or the condition of their cars. • Communicating all relevant information about of the condition of the course, the competing cars, and any situation requiring decisions or actions by race officials. • Relaying received information and instructions to affected personnel, including emergency vehicle crews, drivers, or other participants. Want to be close to the action? Steel Cities SCCA is looking for some volunteer Corner Marshals! What is a Corner Marshal? Next to the competitors, these marshals are the most visible people on the track. They are viewed by the spectator as an integral part of the race, keeping the track clear, giving instructions to the drivers, and responding to incidents. These are the people who have the front row seats, with no-one getting any closer to the action unless they get their own racing car. They are highly trained to handle crashes, fire, and track cleanup. They have other duties, too, including signaling the drivers with flags, and keeping their sections of the track organized so that racing can proceed efficiently. When handling crashes and fires, these volunteers have been called the “shock troops” of racing, because until the ambulances, fire trucks, and crash/rescue vehicles arrive, the safety and efficiency of the track is in their hands.